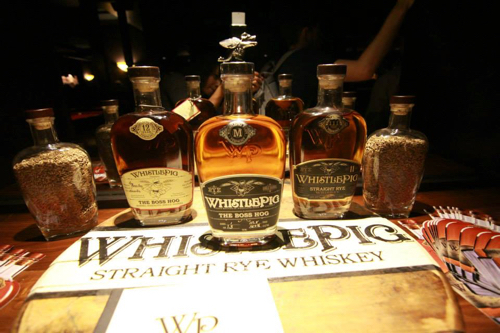 Since WhistlePig first released their 10 year 100 proof straight rye in 2010, the Vermont-based whiskey company has quickly become one of the preeminent producers of 100% rye in the US. I’ve had the pleasure of enjoying most of their releases to date, including the excellent batch of limited edition Boss Hog’s which came to market in 2013 and 2014. 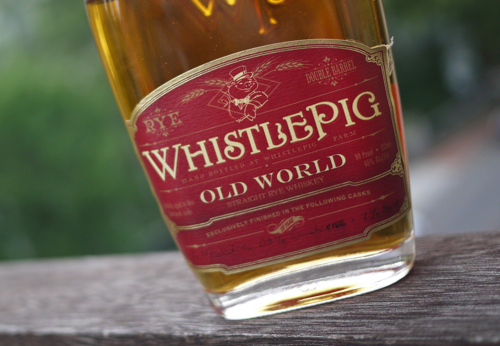 WhistlePig’s latest release represents the producer’s continued pursuit of experimentation, but their first official foray into cask finishes. Old World is a 12-year straight rye finished in Madeira, Sauternes and Port casks. As a fan of whiskeys aged in these type of barrels, I was really excited to get my hands on a sample of this new Old World whiskey. 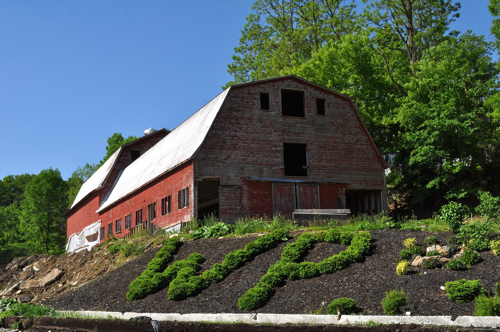 The story of WhistlePig began in 2007 when Raj Bhakta bought a 500+ acre farm in Shoreham, VT. He partnered with long-time distiller Dave Pickerell (previously of Maker’s Mark) and the two set off on a course to focus on a single grain: rye. All of WhistlePig’s releases to date have been produced from whiskey sourced from various distilleries in North America, and finished at the farm in Vermont. The company wasn’t always crystal clear with the public about this fact, but it’s widely known at this point that the company’s 10-year product comes from Alberta, Canada… and this new product comes from MGP in Indiana. Frankly, it doesn’t really matter all that much to me so long as they’re honest about it. Most of the rye being sold now on the American market comes from a handful of producers. So, it’s really about what these whiskey company’s can do with the spirit to bring it over the finish line. And WhistlePig has been doing some pretty extraordinary work in that department. 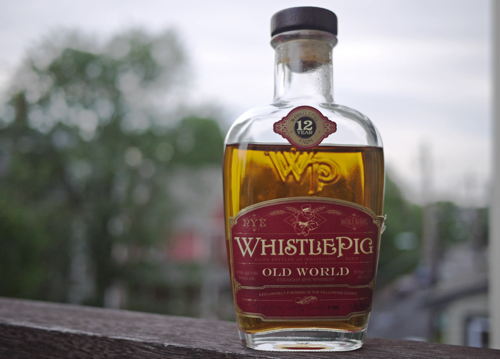 The end goal of WhistlePig, however, is to become a grain to glass distillery. They’ve set out on the respectable path of growing their own rye, distilling, barreling, aging and bottling all from their own farm in Vermont (which lies about an hour south of Burlington, on the New York border). According to the company, the farm distillery will be in full operation by fall this year. And I, for one, will be looking forward to visiting and seeing the operation in the near future. If WhistlePig can do this much with other distilleries spirits, I can’t wait to see what they can do with their own. Anyway, on to the Old World. Last year, Dave Pickerell began experimenting with various old world techniques, particularly those of the Scotch variety, and began finishing 12-year rye in a variety of premium European oak casks including Madeira, Sauternes, Port, Cognac and Sherry. A very limited batch of these single finish whiskeys were released and based on feedback, Pickerell went back to the table to marry a few of these barrels together. He ended up with the blend that became Old World: 63% Madeira, 30% Sauternes and 7% Port. The whiskey just hit the market in June and has a suggested retail price of about $120. Which is, honestly, not too bad relative to what customers have become accustomed to with WhistlePig. I love how this whiskey starts. The nose is addictive–you get this sharp, dry rye spice that is baked in with these sweet wine notes. It’s such a mouth-watering marriage. The more you inhale the more you get that wood-soaked Madeira; then chocolate, caramel, grainy wood, a little grass, and some rich fruit notes. The palate is sharp and spicy at first, but there’s a beautiful harmony beneath, between the rye spices and the winey flavors. There’s some orange syrup offset by dry astringency. There’s mint, a light nuttiness, unripe banana, honey, vanilla… a lot going on here. Then a finish that comes crashing in, big and full of spice. All in, this is one of my favorite WhistlePig’s to date. There’s no doubt that this is an American rye whiskey, but it’s a rye that has appeal well beyond the boundaries of your typical rye. I’m a big fan of these wine finishes on whiskeys, and Old World is a great example of what can become of a whiskey that’s finished and blended with precision. Nicely done. 92 points.